Sometimes we discover seeds that we've saved and wonder if they are still viable (will germinate). 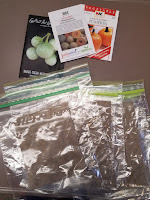 The ragdoll method of creating a damp seed packet that will prompt germination is an inexpensive and easy way to test seed viability. It is also a good way to start warm season plants like tomatoes, peppers, etc. In this video, I'll demonstrate how to make a ragdoll for Pride of Wisconsin muskmelon. You'll need a sheet of damp paper towel, a sealable plastic quart bag, seeds or your choice and a marking pen. Watch the video. 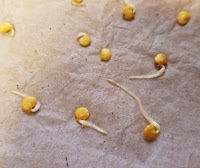 Pepper seeds 8 days later: The first root has emerged from some of the seeds. Just gently remove and plant in potting soil. Place in a warm sunny window or under grow lights. Keep the soil moist (not wet). It should feel like a damp sponge when you touch it. 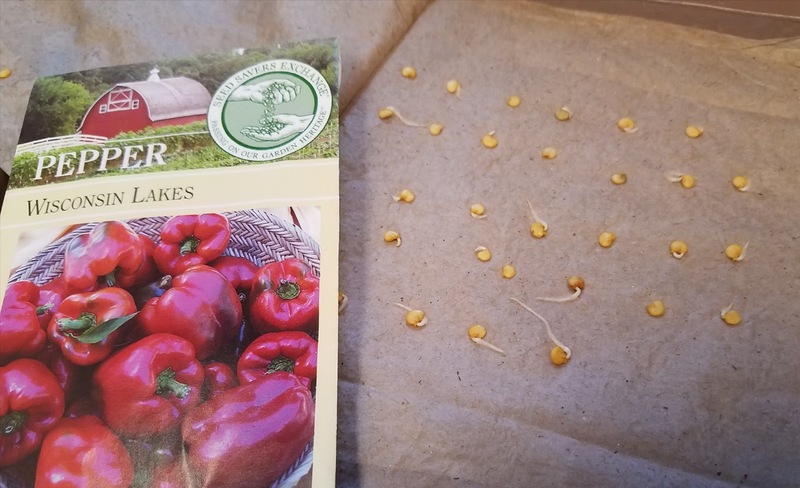 These pepper plants should be large enough to plant in a large pot or a sunny garden location by end of May / early June. Does the root have to be pointed down, or can I just lay the sprouted seeds on the potting mix? Either, but best to drop the seed in root down. when planting the sprouted seed into potting mix, do I have to take care to point the root down? Or can I just put the sprouted seed horizontally on the mix and gently cover it? Either is fine. Seeds will grow downward. IF the seeds are large like a pumpkin seed and easy to hand, point the root down. If small, just lay it down and the root will head downward.